I always get a good chuckle when I see a Texan in a thick jacket when it’s 60 degrees outside. 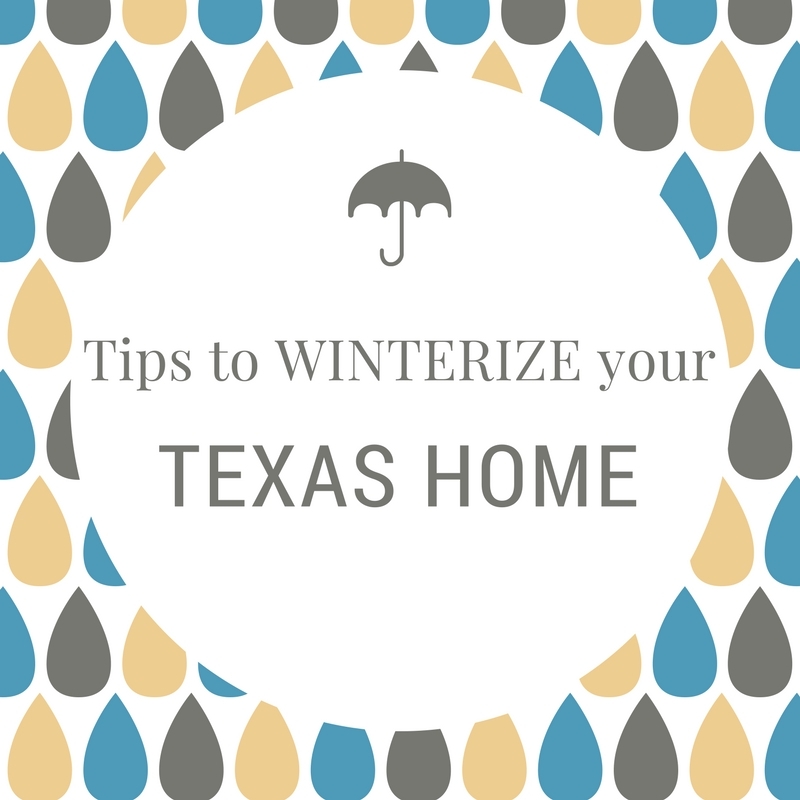 Even though we only get maybe a good 4 weeks cumulative of weather under 40 degrees it’s still important to winterize your Texas Home. Here a few simple tips of how to do just that! Drafts are no good, especially if you want to keep your home nice and toasty this winter and save money on heating costs. There is an easy way to tell if your home’s weather stripping is failing, making your home smell delicious at the same time. Light a stick of incense and hold it up to windows and doors where they meet the window sill and door jamb. If you do in fact have a draft, you will see the smoke travel towards the draft area on in away from the draft area. You can purchase and replace weather stripping yourself, finding the necessary tools and items you will need at your local hardware shop OR you can get a handyman to do the job for you. We have recommendations on who to use if you need it! Whether you have 40 year old windows or new windows, the “glazing” they use to seal those windows over time will crack and break causing gaps that will let the outside elements in. Take a caulking gun and some caulk to any cracks or gaps that you may see around your windows and door frames. This will help to save you money on heating costs by not allowing that precious heat to escape and also keep the outside cold from coming in. Those fall leaves and fallen pine needles will surely clog up your gutters. If left they can cause blockages that make the gutters heavy and fill with rain water that could freeze and possible make them pull away from fascia boards. A few ways to clean them yourself are by getting up on a ladder and hand scooping them out or you can try to use a leaf blower. If you have a two story or don’t feel comfortable getting up on a ladder, you can call a local handyman to help with this task. We know a few, give us a call and we can give you a recommendation. If you haven’t had your chimney cleaned in a while then it may be time! This will help prevent chimney fires and prevent carbon monoxide from entering your home. It is recommended to do this once a year, let us know if you need a recommendation on who to hire! Let’s be proactive instead of reactive on this one! Instead of having your heater go out on you mid-January, have a service technician come out during Fall to inspect and run a bit of maintenance on your furnace, that will ensure you have a smooth winter ahead of you when it comes to heating. Need a professional, we know a few. Call us today for a recommendation. Cut all dead and living branches hanging over your house to minimize risk of them coming down with the next storm. Also, trimming bushes away from your home will prevent water penetration into your home. Need a professional, licensed Tree Trimmer? We know a few! THIS IS AN EASY ONE PEOPLE, and one that is forgotten about too commonly. First, changing the filter will make your heating system have to work less hard to get warm air into your home saving you money and your heating system stress. Secondly, don’t you want the air filter to do its job by removing dust, allergens, mold spores, dander, etc. from the air? Yes, well change it! I personally change mine every 3 months but you can do it more often than that or longer than that depending on your living condition: kids, pets, types of outdoor trees, indoor plants, etc. Set yourself a reoccurring reminder on your phone to replace them, you can find them at hardware store or big box stores like Target even Costco! Fun Fact: Ash is the only tree that will burn “green,” right after it’s cut down. Stock up on firewood NOW before it becomes more of a demand and prices go up. 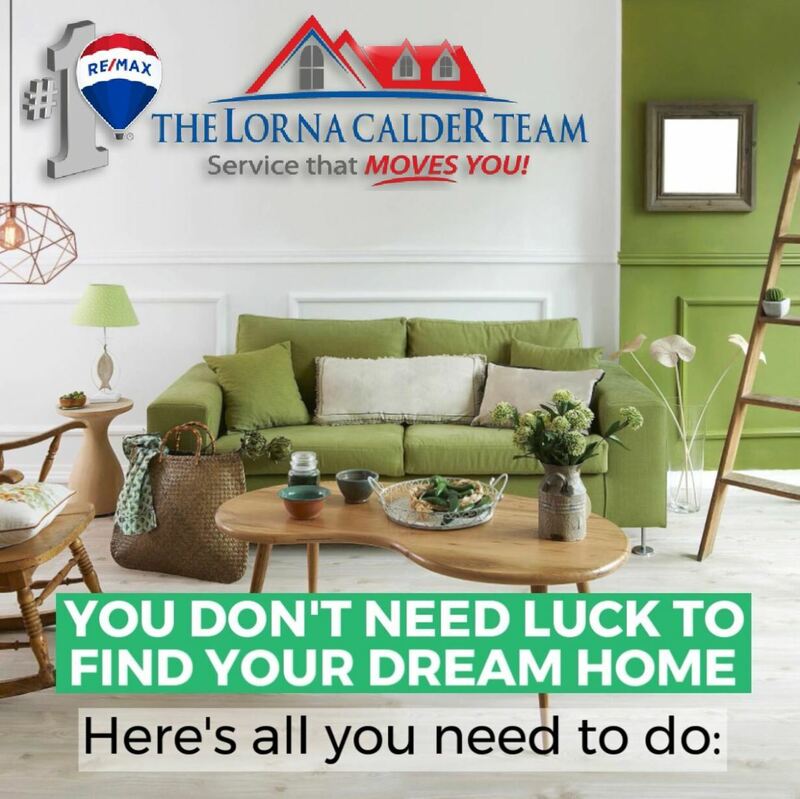 Search Facebook Marketplace or local Social Sites like Nextdoor! Whether it’s an old sock, towel with duct tape or professional insulating material; your pipes and faucets should be covered during winter to make sure they won’t freeze if the temp gets too low. I usually wrap mine up at the end of Fall and just leave them wrapped until the end of April. No harm in leaving it on there that long, you don’t want to be running outside when it’s 11pm and 28 degrees outside to cover pipes you forgot! 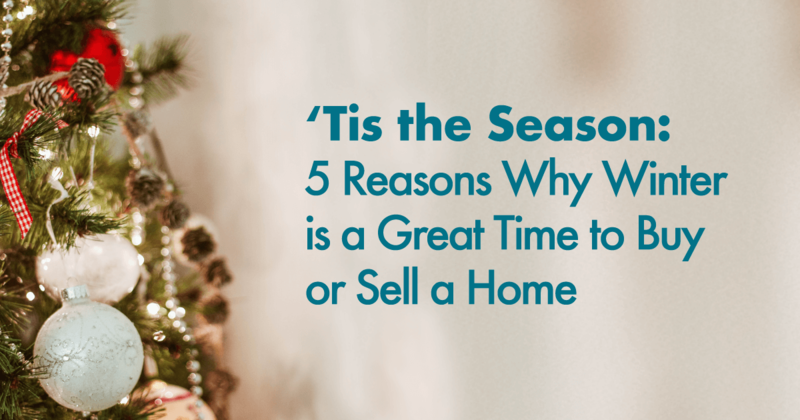 Are you thinking of buying or selling a home this year? 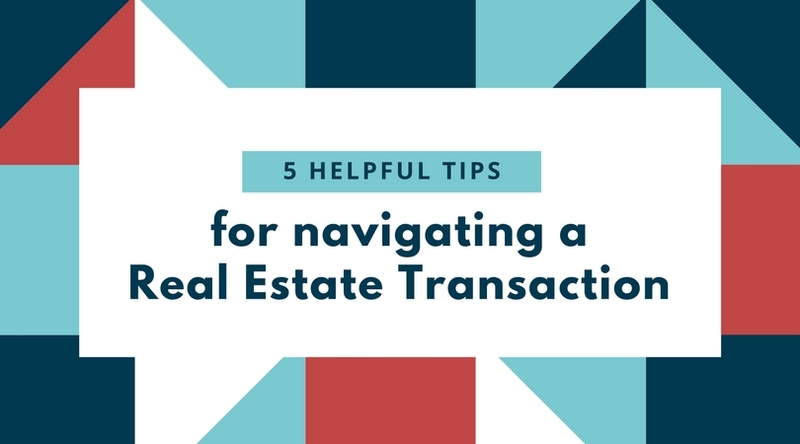 Here are a few ideas to help you get through the Real Estate process. 1. Don't let timing consume you. A lot of sellers and buyers attempt to anticipate the actions of the market so they can properly time their purchase or listing correctly. When you're ready to buy or sell, is the time when you are ready. Simple as that. Instead of obsessing about the ideal perfect time, focus on making sure YOU are ready! 2. Check your Expectations. TV shows and experiences of your friends and family may fog your perception of the reality behind the buying and selling process. Absolutely everyone's experience WILL be different! Having your agent explain to you the process and state of the market will help you set more realistic expectations. 3. Keep control of your emotions. Yes, buying a home is a HUGE investment and home buyers may put extra pressure on themselves to get that perfect home that checks everything on their list. Furthermore, selling home can be extremely emotional, you put a lot of time and money into making your home the perfect home for you and have made so many memories. It's easy to make a rash decision when emotions are involved. Trying to stay calm and focused will help you to feel more in control. 4. Do your research. 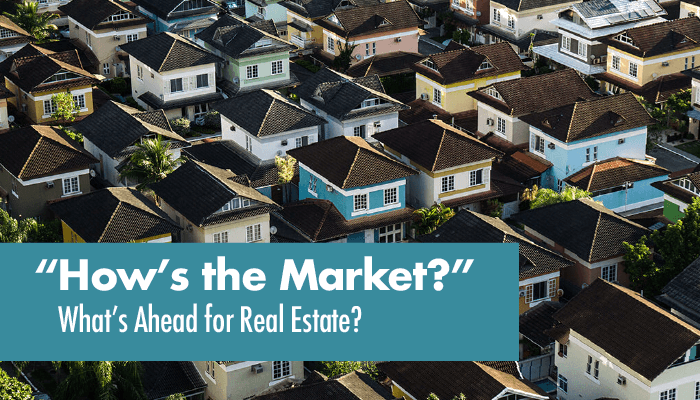 When you're thinking of buying, it's a good idea to check out the neighborhood you may want to live in, write down your must-haves and how long you want to live in that home. 5. Rely on a Real Estate Professional. You don't have to be alone on this adventure! I'm here to answer any of your questions, to ease your concerns and guide you through the process. I'm never to busy to answer any of your questions so please feel free to call me anytime! Click HERE for a PDF of this information! Living in a friendly neighborhood may be good for your heart, according to a study by psychologists at the University of Michigan. In fact, the more social connections you have among your neighbors, the less likely you are to die from a heart attack. The study analyzed the social connections of more than 5,000 adults in urban, suburban and rural areas over a four year period. Researchers controlled for factors like age, race, income, marital status, education, mental health, optimism and other known health-risk factors associated with heart attacks, such as diabetes, obesity and high blood pressure. By the end of four years, 148 of the individuals studies had suffered heart attacks. Conversely, other studies have shown that negative aspects of a neighborhood can have a detrimental effect on a person's health. For example, living in areas with violence, noise, poor air quality and access to too many fast food restaurants can have a negative impact on a person's health. Further, a study at the University of Pennsylvania finds that living in areas with abandoned buildings can lead to isolation and hamper social relationships, which can lead to poor physical health of residents who live nearby. Being helpful and neighborly is not only good for your health, it's good for the health of the neighborhood! Source: Certified Residential Specialist Magazine "Your Home"
9 Easy Ways to Show Gratitude this Holiday Season! You may have heard the saying "Gratitude is the best attitude." Gratitude is more than a passing "thank you;" it's a heartfelt way to acknowledge someone and their good deed. This month in honor of Thanksgiving, I'm creating this blog with information that outlines nine ways to express gratitude to the people who have gone the extra mile to help us. Ideas include writing a note, giving them a small token of appreciation like flowers or their favorite treat, or publicly acknowledging and appreciating their good deed on Social Media. Gratitude is more than good manners; it's a great way to improve your relationships with friends, colleagues and loved ones! Below are the 9 ways to show Gratitude today and everyday, enjoy! Freshly baked cookies and pies, whether you made them yourself or bought them from the local bakery, are a nice way to show someone you appreciate them, or to say "thanks" for a good deed. Why? Everyone loved food! Find out their favorite treat and deliver it in person! Nothing expresses gratitude better than a heartfelt, handwritten note card. You don't have to be a poet or have perfect penmanship. Just write from the heart and say why you're thankful. If someone did something nice for you, return the favor. Did a neighbor pick up your newspaper and mail while you were gone on vacation? Pick up their newspaper and mail while they go on vacation, or offer to lend a hand if you see they need help. When someone dos something nice for us, it's natural to pay that generosity forward. If the person in front of you buys your coffee, say "thanks" and pay for their generosity forward by buying coffee for the person behind you. Brighten someone's day and show them you appreciate them with a bouquet of flowers or a colorful, easy-to-care-for-plant, such as lavender, aloe, jade, ferns or snake plant. All of these plants are resilient in case the recipient doesn't have a green thumb. Never underestimate the power of a useful and thoughtful gift. If you know the person well, think about their interests - What do they like or enjoy doing? For example, if they garden, get them a pair of gloves to say "thanks" for their help. If they love wine, buy them a bottle of their favorite wine. They'll know how grateful you are, and will appreciate you personalizing the gesture. Gift cards are ideal for those you may not know well, but have some ideas about their daily life. If they're into cooking, get them a gift card from the local kitchen store. If you know the person spends a lot of time in their car zipping around town, get them a gift card from a local coffee shop so they can enjoy their favorite beverage on the go. When you write a message on a connection's profile, the comment will be shared with their family, friends and colleagues. Sing their praises by tagging them in a post thanking them for their help. When people within your networks see it, they can "like" the status, which will make the person feel appreciated. If you want to say more than "thank you", and the person has everything, donate to one of their favorite charities, in their name. Either browse for favorite organizations on their social media pages or ask them directly for the name of their preferred charity. They'll not only enjoy the gesture, they'll also appreciate you listened to to hem and respected their interests, which helps to build relationships. 1. Improved Health. Grateful people report fewer aches and pains and are more likely to go to the doctor for a checkup. 2. Improved Sleep. Want to get a better night's sleep? Write down what you are grateful for at the end of the day. Science shows those who express gratitude sleep better and longer than their peers. 3. Boost your Self-Esteem. People who express gratitude have higher self-esteem than those who don't. 4. More Empathy. When you're grateful, you're more likely to help others and are less likely to exhibit aggression or hostile behavior. 5. More Resiliency. Grateful people tend to be more resilient than their peers. Click the Links to download PAGE 1 and PAGE 2 the Full Color Blog Flyer!